Minimalist design, super-clean and comfort, make The New Heritage Heights View one of the finest hotels in the city. The hotel brings class andstyle at a pocket-friendly price. The highlight of the hotel is its spacious, super-clean, and well-equipped rooms. The cushioned headrest and bright cushions make the space lively and elegant. The bathrooms are tiled and feel clean. 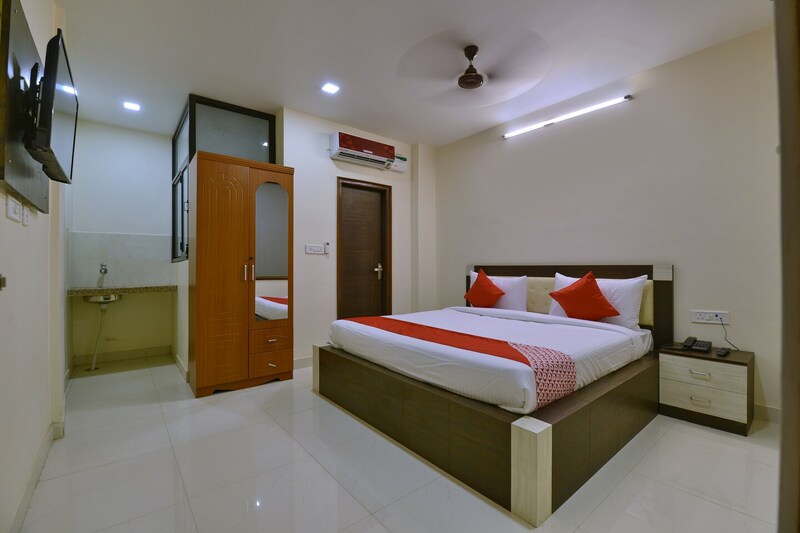 The rooms are modernly designed and have basic amenities. Most importantly, the hotel is located very close to Neemgatta Bird Watching point. Guests can enjoy uninterrupted and free wifi services during their stay to connect with the internet. Other facilities at the hotel include CCTV cameras and power backup. Card payments are accepted here.